Things could not have lined up any better for Google’s Chromebook experiment. What first seemed like the next coming of the netbook has blossomed into a serious Windows threat, no doubt aided by a poor showing from Windows 8 and a weak global economy. 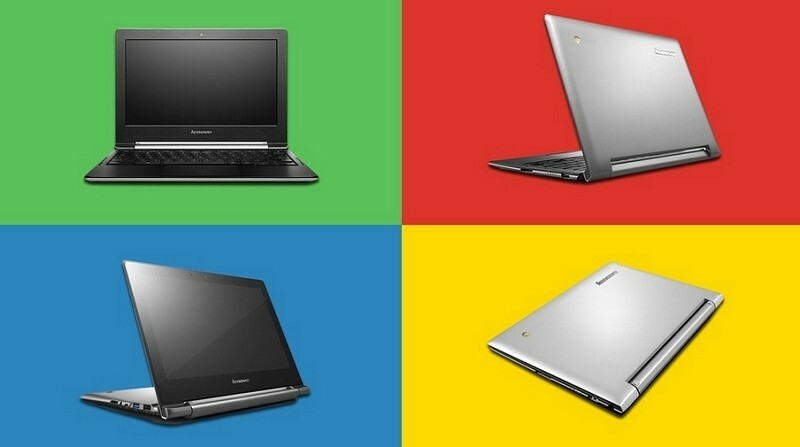 We’ve seen a number of big name manufacturers throw their names into the Chromebook mix and today, Lenovo joins them with not one but two Chromebooks: the N20 and the N20p. The two machines share a common list of specifications – Intel Celeron processor, 11.6-inch display operating at 1,366 x 768, up to 4GB of RAM, up to 16GB of onboard storage, Bluetooth 4.02, 802.11 ac Wi-Fi and so on – but the N20p takes it a step further with its 11.6-inch display that utilizes 10-point multi-touch technology and a Yoga-style hinge that rotates up to 300 degrees. Once folded past 180 degrees, the keyboard will be disabled and the system will enter “Stand mode.” As Lenovo highlights, this mode is designed for those wanting to watch videos and presentations. Both machines can last up to eight hours on a full charge, we’re told. The N20 weighs in at 2.8 pounds while the N20p is a little chunkier at 3.1 pounds. Both also feature two USB ports, an HDMI-out port and microSD / SD card readers. Pricing starts at $279 for the N20 Chromebook and $329 for the N20p. They will be available beginning in July and August, respectively.